In our house, this bitter cold weather has lead to some awesome food. After all, a warm kitchen makes the house warmer which is why I was excited for Bear Haven Daddy to try some new Carnevale recipes for our family with fabulous Red Pack Tomatoes! For those of you not familiar with Carnevale, it is a traditional festival held in Italy during the winter that includes parties and delicious food! 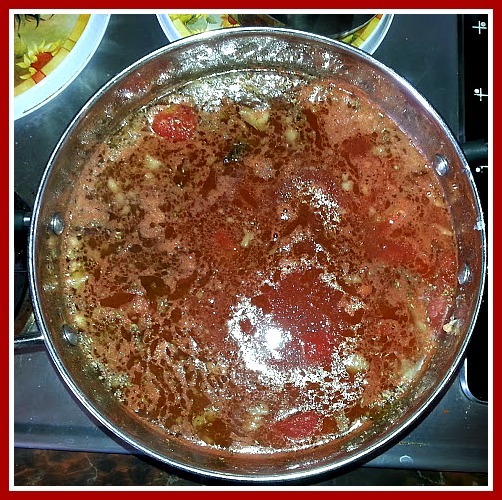 We used Red Pack Tomatoes for our Italian Gravy. Red Pack Tomatoes are grown in the Midwest where the distinct seasonal changes really impact their flavor. We got a great recipe from them, and here it is! Preheat oven to 400 degrees F. Place 1 cup red wine, oil, beef neck bones, onion, celery, carrots, garlic, salt and black pepper in a roasting pan; stir to coat. Roast neck bones and vegetable mixture in oven until vegetables are tender, 1 hour. Stir in about 2 tablespoons red wine while scraping any brown bits of food off the bottom of the pan. Roast until vegetable are browned, about 30 minutes. Pour vegetable mixture into a 16 quart stock pot over medium-low heat; simmer for 30 minutes. 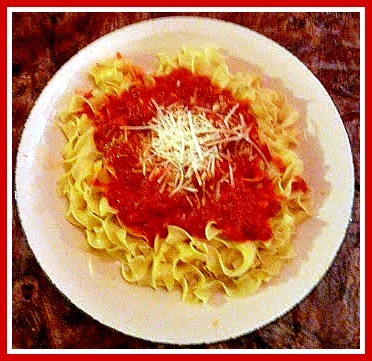 Add REDPACK® TOMATO PASTE,REDPACK® WHOLE PEELED TOMATOES in JUICE, REDPACK® TOMATO SAUCE, water, basil, oregano and parsley; stir well. Simmer, stirring occasionally, until sauce reduces, 4 to 6 hours. Remove neck bones from sauce; scrape marrow out of bones. Add marrow to sauce and simmer until dissolved, 1 to 2 hours. Add choice of meat to sauce during the last ½ hour of cooking. For a smooth sauce, blend in batches until smooth. Add Italian sausage or other meat to sauce after blending. Option: Cook pasta, a pound pasta in ½ gallon water, just until al dente. After sauce has cooked add ¼ cup pasta water and al dente pasta. Cook until pasta is completely cooked. This allows the pasta and sauce to combine their flavors for an exceptional tasting meal. My family and I really enjoyed eating this dish. My husband, the gourmet cook in our family, said that he loved using the Red Pack Tomatoes. They weren’t too sweet and tasted fresh. Right now, Red Pack Tomatoes is holding a a Facebook promotion at https://www.facebook.com/redpacktomatoes running Feb. 19th – March 3, during which 1,000 Redpack followers will get a Redpack branded apron each week (for a total of 3,000 aprons). A grand prize winner will receive a pasta stock pot, pasta-related serveware and Redpack products. We are also hosting a giveaway here as well! From now until March 3, you can enter here to win a variety pack from Red Pack Tomatoes to create your own yummy Italian gravy or other fantastic recipes. To enter our giveaway, please click on the Rafflecopter link below! Good Luck! Contest ends March 4 at 12:00am EST and is open to residents of the continental US. 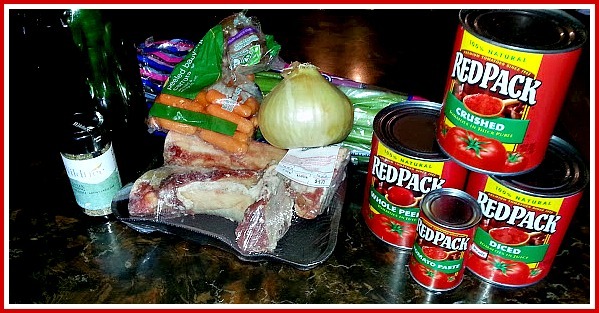 *I received recipes and a variety pack of Tomatoes from Red Pack Tomatoes for this post. My opinions are my own. My favotite Italian dish to make is lasagna. 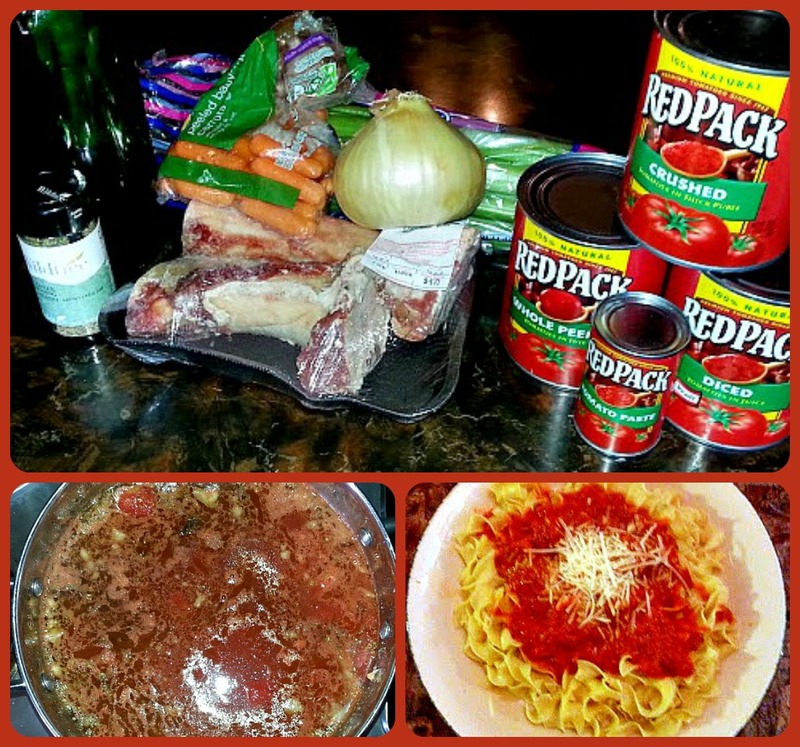 I love making shrimp scampi and traditional spaghetti and meatballs! My favorite dish to make is homemade ravioli!! Shrimp Alfredo would be my favorite dish to cook. I love cooking eggplant parmagiana! I like to make sausage and peppers. I love to make Angel Hair and Meatballs with Garlic Bread. It has to be lasagna, bit I’ll take any delicious Italian meal. I like to make Chicken Parm or Eggplant Parm.